Enjoy hours of fun at the pool, beach or concert with our Margaritaville beach ball. 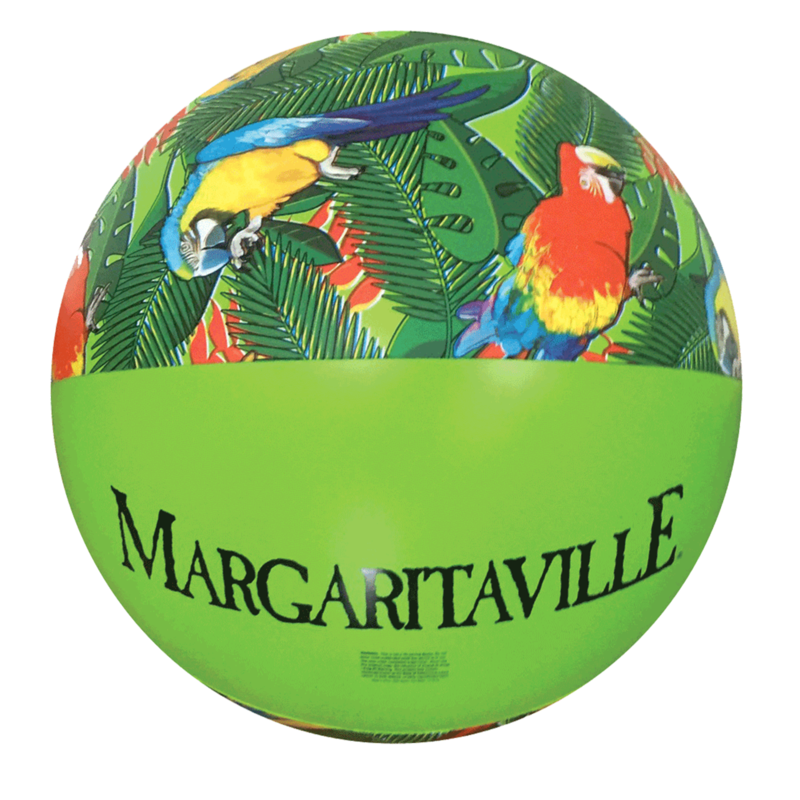 Crafted of heavy-duty PVC, these inflatable spheres are covered with Margaritaville branding and parrots in the jungle. Imported.